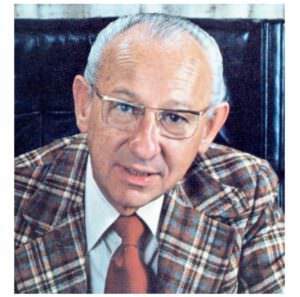 Art Zimmerman, my father and mentor and founder and chairman of Zim’s Restaurants passed away on January 22, 2008. Dad was born on February 12, 1920 in Poland and immigrated to the US at the age of 18 months as his parents moved to San Francisco as his father had a relative here. Dad helped support his family at an early age from his newspaper route and produce market job. After graduating from high school Dad was drafted into the Army during World War II and went into the infantry. While eating his K rations in Europe Dad would dream of the day he would come home and eat a thick juicy hamburger and drink a rich milkshake and this is how he got the idea of opening up a specialty restaurant serving only high quality broiled hamburgers with a limited menu including hot apple pie, milkshakes and assortment of other beverages. When Dad came back from the war he borrowed a few thousand dollars and in 1949 opened up a small U shaped 22 seat counter operation at the corner of Lombard and Steiner in SF and called it Zim’s. The emphasis of his operation was quality and he used whole choice chucks for his hamburgers which were trimmed and double ground and made into hamburger patties daily. Dad used real ice cream for his milkshakes and had a special hot apple pie with cinnamon sauce made for his customers. This business became very successful and Dad opened a second unit and then additional units and for some 45 years Zim’s Restaurants was the largest restaurant chain in San Francisco with 12 restaurants. Throughout my fathers career he had close to 35 restaurants throughout Northern California. I learned many things from my father over the years but I will always remember his commitment to quality food, excellent service in a well maintained premises and his pledge that the customer is always right.